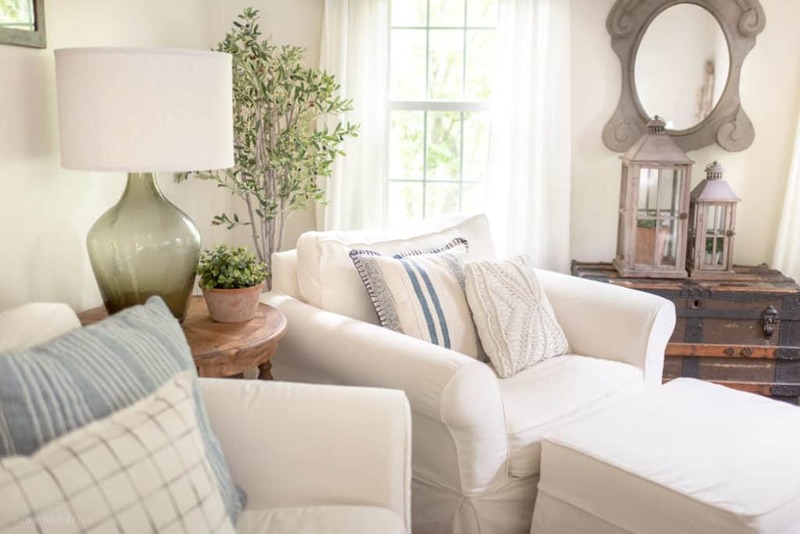 Making Good Breakfast Choices | Nina Hendrick Design Co. This is a sponsored post written by me on behalf of Blue Diamond® Almond Breeze® almondmilk. All opinions are 100% mine. 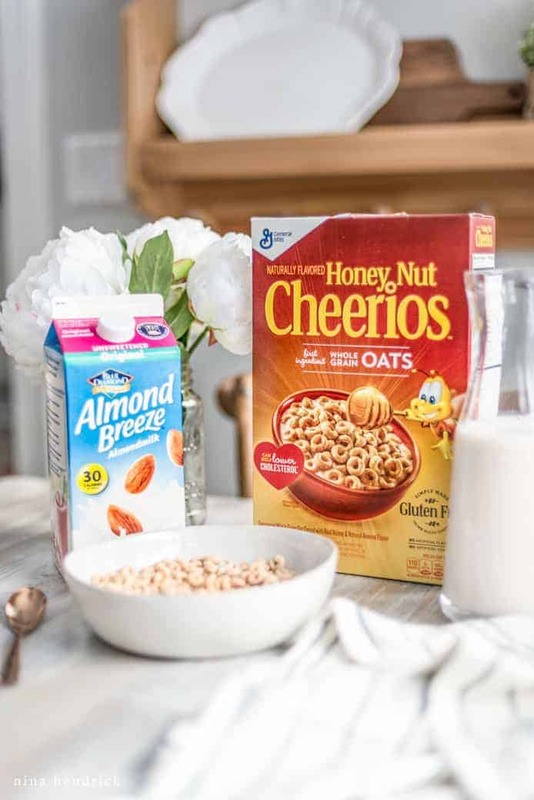 Making Good Breakfast Choices | Making good breakfast choices with Almond Breeze almondmilk Unsweetened Original and Honey Nut Cheerios™ cereal, the perfect pairing. As many families surely are, we are always trying to make our mornings run more smoothly. Whether we are off to the bus, work, carpool, etc., it is a priority to find quick breakfasts. However, we don’t want to sacrifice quality in the process and still want to make sure we are making good choices. Finding the balance between convenience and nutrition is always key. Another thing I’m trying to be more conscious of is supporting brands that support communities and learning the story behind the food my family consumes. My son, Cooper, eats Honey Nut Cheerios every single morning for breakfast. It’s a quick and easy breakfast he can put together himself while everyone else is getting ready. 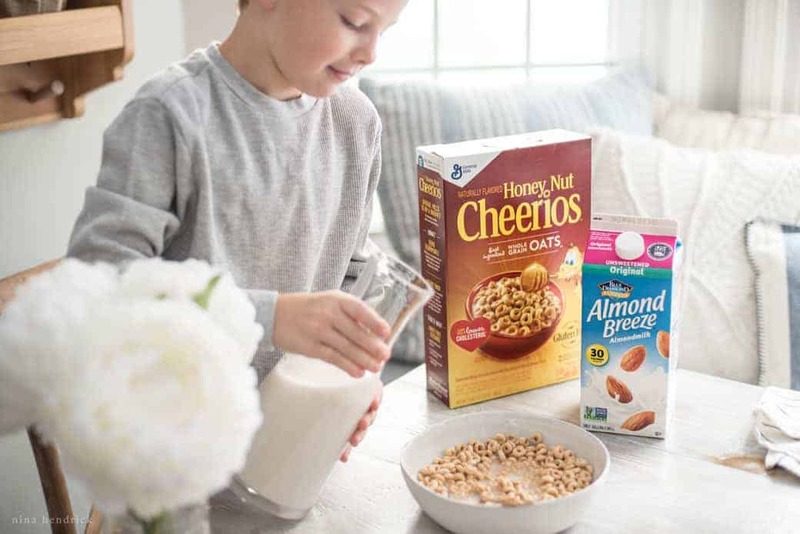 He’s always our first child to try new things as well, so when Almond Breeze almondmilk reached out and asked us to try one of their flavors, I knew the challenge would be perfect for him! They offer many yummy-sounding flavors, but we’re pretty classic, so we chose the Almond Breeze almondmilk Unsweetened Original. He gave it two thumbs up and even preferred the taste to his usual skim milk. It has become part of his routine, and he wants to try some of the other flavors, too! In this process of researching this new addition to our routine, I learned a lot of information. Since I’m lactose-intolerant, almondmilk has turned out to be an excellent source of calcium to add to my diet. It also includes Vitamin D (which this New England family often lacks during the winter!) and Vitamin E.
My husband Mack has started adding the almondmilk to his coffee and his protein shake, reducing the calorie count by 50 compared to his usual skim milk. Overall, it’s a creamy, delicious, lower calorie, and calcium-enriched alternative to dairy milk. Almondmilk has become a staple in our home! I also thought the story behind the Blue Diamond almonds themselves, which the milk is made of, is pretty interesting. 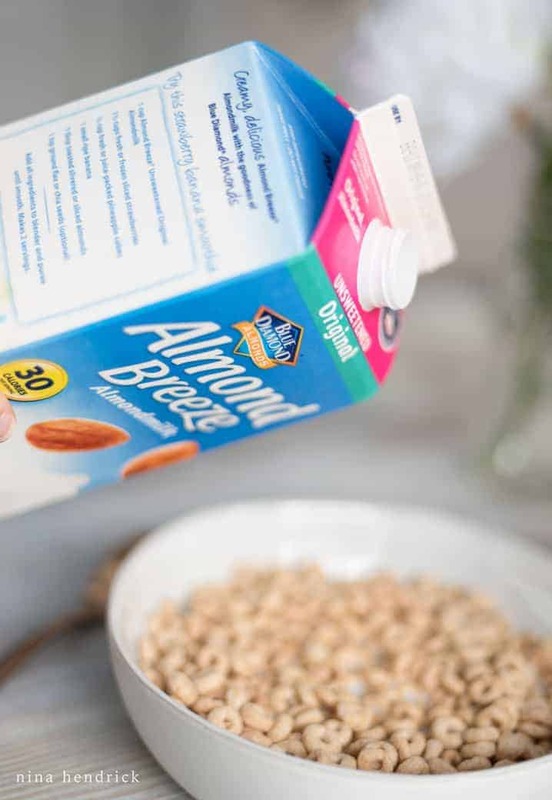 The almonds that go into every drop of Almond Breeze come straight from California and the growers within Blue Diamond’s cooperative family, which has been in the almond business for over a century. 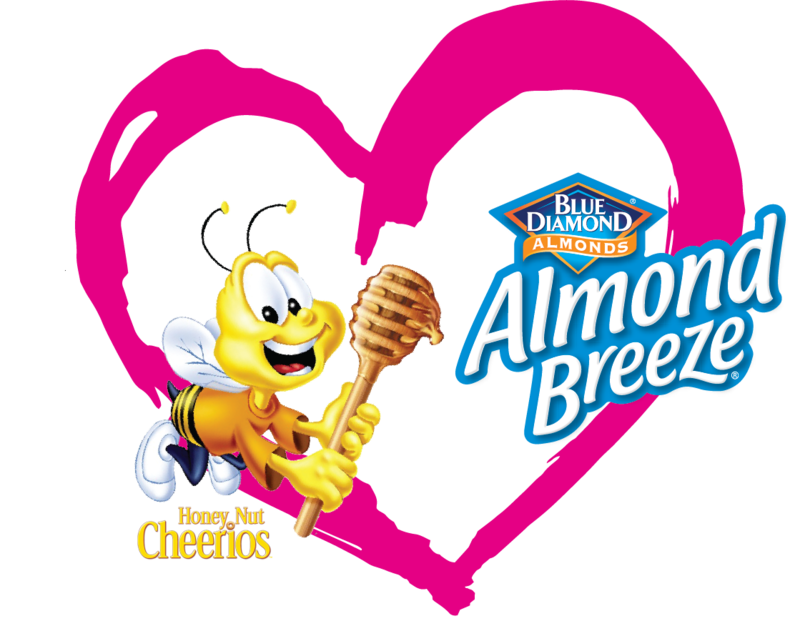 I love the fact that through supporting Almond Breeze, we are supporting the growers and their families right here in the US. All of the pride and care they put into growing their almonds comes through in their almondmilk. It’s always nice to know the origins of the products we consume, from the farm to the table! 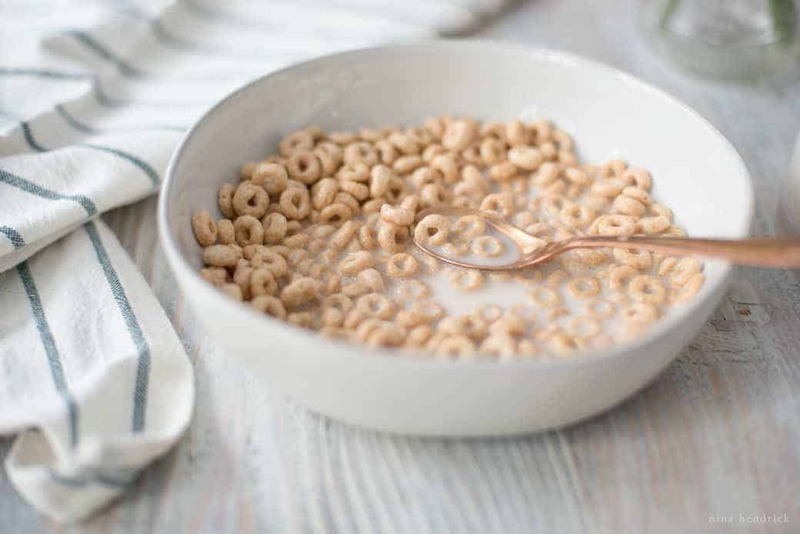 Honey Nut Cheerios is a product we know and love. 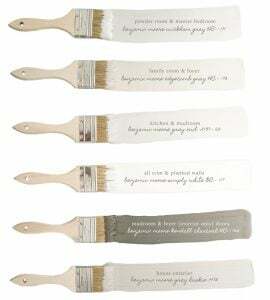 However, did you know that they are also a company that focuses on giving back? 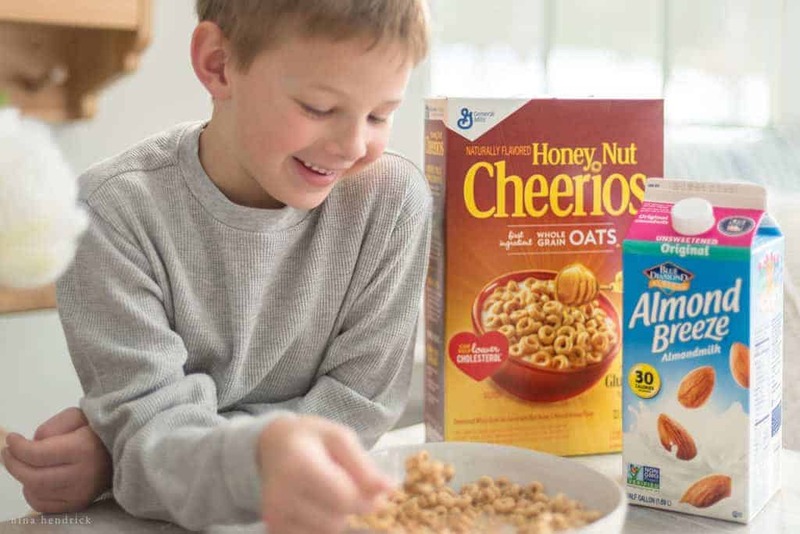 General Mills has a three-tiered focus on increasing food security, advancing sustainable agriculture and strengthening hometown communities. 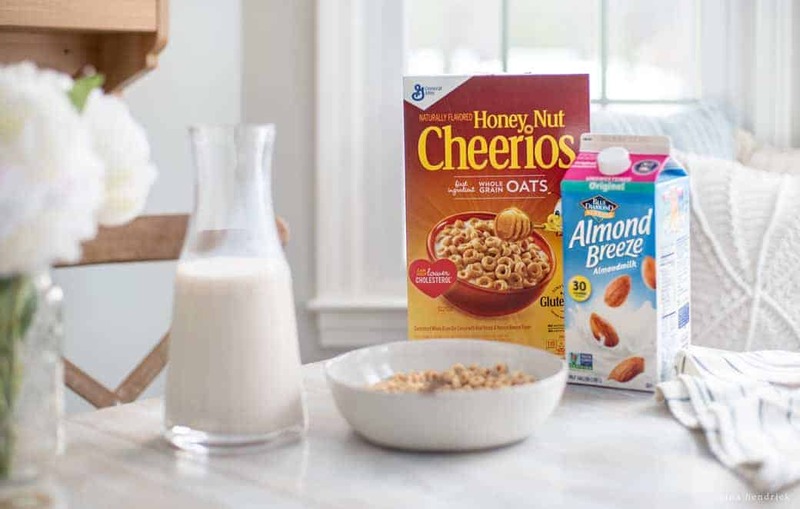 It may seem like a little thing – a bowl of almondmilk with cereal. However, when you take all of this into consideration, it’s a collaboration of many families living and working all around our country. As a result, a simple choice feels like a really good one. Lastly, there’s an exciting contest opportunity. You can enter the sweepstakes for a chance to win a grand prize 5-day trip for you and three of your Breakfast BFFs to Los Angeles, CA for some family fun in the sun. Or you can win one of two first prizes, $500 gift cards. Here are the sweepstakes rules. I love reading posts like this that actually make life easier and healthier. Thanks for sharing!